Thank you for trying the trial version of the easyWebsites Organizer™ Module of Easy Organizer Suite™. Below are some links to some helpful information for you as you use the program. We have put together some lessons, both in video and pdf format, that show how to work with the various features of the easyWebsites Organizer™ Module. These show how to work with Website Charts, etc. They also cover Importing and Exporting. Not only is the Help File available in the Easy Organizer Suite™ program, it is also available online. Here is a comparison grid of the features of the Standard Edition and the Pro Edition of the easyWebsites Organizer Module. We have a section on the website that shows How To Videos and Step-by-Step instructions on many subjects. The subjects covered are installing, updating, uninstalling, and many, many more. We have a page that has many Frequently Asked Questions and their answers. 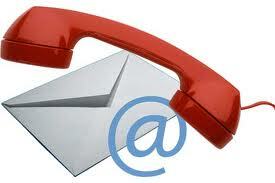 If you ever have a need to contact us, we have all of the contact information here.